What are the standard burial rituals for the Amish? Who/what digs their graves? Takes care of their cemeteries? 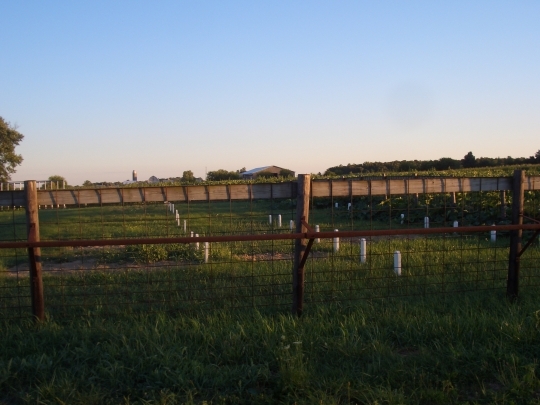 We’ve hit on this topic on a couple of occasions, so I may just direct you to these previous posts: on the Amish funeral, and Amish cemetery. As to who digs graves, that would be other Amish, by hand using shovels. Members of the community also share the burden of cemetery upkeep, such as cutting grass and keeping fences in repair. In most communities a mortician transports the body to the mortuary for embalming, returning it to the home a few hours later. Very few if any cosmetic enhancements are done, even in the case of accidents. Speaking of the body, an elderly bishop said, “How it is, is how we take it.” (The Amish Way, p. 173). 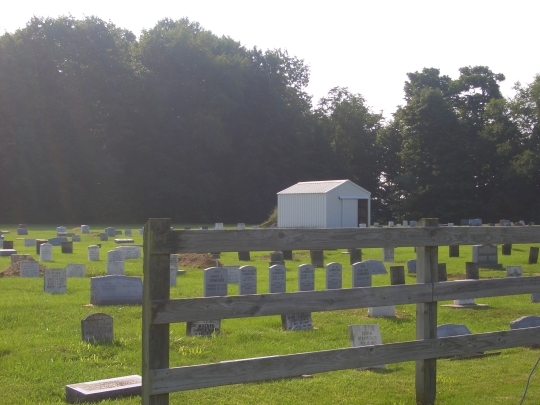 Amish cemeteries are often Amish-only, though they may be shared with Mennonites in some cases. 23 responses to What are Amish burial practices? it. Now I realize it may be a Mennonite person buried there. I like the Amish tradition of everyone having the same, simple-style tombstone, where everyone is equal. In some English cemeteries it seems like tombstones are sometimes a status symbol. Al I know that’s the case in Lancaster County at least, but I’m not sure to what degree it holds elsewhere…the picture you refer to is from Indiana. I’m not sure about that stone. But yes sometimes there are “irregular” though still fairly plain stones. Is the service as long as a Sunday Church service? Do the have a celebration of life party afterwards? PJ I think you’ll find more info on this at the first link in the text. There is a meal but have never heard of a celebration of life party. I would guess that the larger stone in the lower left, second picture is a husband and wife, or two other relatives with their info both on the same stone. There is a similar one on the far right of the second photo, with what apears to be two names on it. I have not seen, that I know of, a “liberal” or progressive Mennonite graveyard, but the conservative ones I have seen are not what you’d call fancy either. 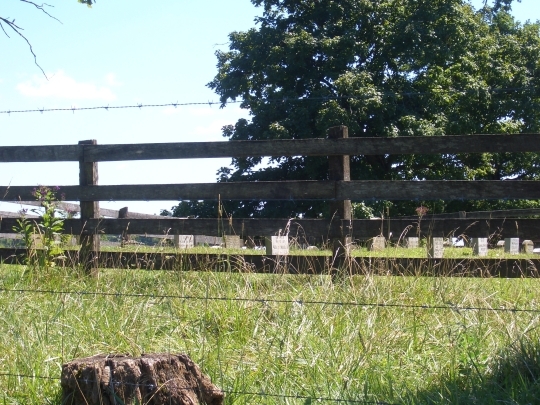 The stones tend to be pretty simple, altho’ there is no set rule specifying the style…. Very similar to the second picture. interesting. I also noticed a flat tombstone in the first photo and two others towards the front that are simular to the larger on set back. These different tombstones are more like the english so suppose they must be mennonite stones. Surprised to hear that the Amish allow the Mennonites to be buried in their cemetary. Thought it was supposed to be Amish only. I don’t believe the Amish hold to the modern American custom of a “celebration of life” and as a traditional Anglican minister myself, I don’t either. Erik can answer more completely than I can as to gatherings after funerals, but I think the custom is to have some sort of meal – there are recipes in old Amish cookbooks for simple pies and cookies served at those times – but the growing custom of displaying photographs, mementoes and other artifacts of the deceased is still unknown among most Amish (and other traditional Christian) groups. The meal is simply hospitality for the people who have travelled rather than a celebration feast. I would much rather see our Anglican cemeteries looking like Amish ones – as they once did – instead of these ostentatious laser-engraved monuments. My husband and I plan to be buried very simply, with plain stones. I have presided at many funerals, and the ones that people seem to like the best as most comforting are the traditional ones. Here in New Zealand it is rare to see a plain funeral. I told my husband that when I die I want a plain pine casket with rope handles and maybe a basket of vegetables on the top seeing I love vegetable gardening/canning. It would represent who I was. I do not want a photo or bouquets of flowers. It can cost a minimum of about $7,000 for a burial here. I’m guessing the Amish don’t use cremation as a burial option since I didn’t see it mentioned in this or the other posts. Right, I’ve never heard that Amish would cremate, and have even heard of strong reactions against it from Amish. I’m not sure the basis for it though, if it’s Biblical or tradition-based. Well, guess I should have said there was a Amish/Mennonite Cemetery there. I stopped by an Amish cemetary once in Lancaster County, PA, and it was a very different and interesting experience as all you could see were these very small, simple headstones with all the same names, i.e. Stoltzfus, Zook, Fisher, King, Lapp, etc. That’s something you don’t see in Englischer’s graveyards – all the same names! By living in the center of an Amish community, and my very best friend being Amish, I can perhaps give a little information to what I know about their burial practice in western TN. The body is embalmed, then brought to the home of the individual. They begin by cleaning out a selected room in the house, adding several chairs near where the ‘pine box casket’ will be placed for viewing. The casket is never made, regardless the age and condition of the individual, until the have passed. The community members (men) dig the grave, by hand, with shovels. The women are preparing food and cleaning. The young children will gather in circles (usually in the yard outside, weather permitting, as someone reads to them; then they will have song time. There will be a group of men that sit all night beside the casket. The funeral is usually within a couple of days, or as soon as the out-of-town relatives and friends arrive. My friend’s grandmother passed away 2 weeks ago, and there was over 400 present. 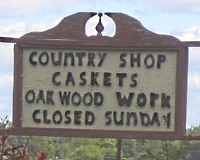 This service was held in the local Amish cabinet shop, as it was large enough to hold a large number of people. The funeral usually lasts for approximately 12 hours. The headstone is made by the Amish. They have a special box they pour the cement mixture into, and put all the information on, then let it set to harden for placement in the Amish cemetery. I have been to several viewings, and it is very different from our English customs. I cannot make out the writing on the stones, but a lot of them look like markers typical of the nineteenth century. I like the description of how the burial markers are made in one community; it certainly would save money, wouldn’t it? Would the devise described work something like a printing press only in cement? I’ve been thinking about this since originally reading the post, and came back today to read others’ comments. My grandfather was a bishop with the United Brethren church, and when he died, they had the funeral home embalm him, but then he was taken back to the house to be dressed, and his body put in a coffin made by someone from his congregation. Then his body was placed in their house’s parlor for a few days while people came and went, but there was always someone sitting with the body. The funeral service was held in their home, too. None of my other relatives had a similar funeral, and when my grandmother passed years later, her body stayed at the funeral home until it was taken to the church for the service. My question — Were groups like the United Brethren (in earlier times) more associated with the Amish and Mennonite then I think they were? I have always thought of the United Brethren being more related to the early Methodists. Don’t know if you would know this, but thought I’d ask. As many Amish as we have around here, I’ve never been able to find a cemetery for them. I’m sure there are several, but they must be back on private property. We have several schools and such, but look as I may, no cemeteries in easy view. Comment on What are Amish burial practices? I found this Mennonite genealogy chart that I found on another website. I hope this answers your question about the United Brethren church being somewhat close to the early Methodists. Thank you for taking the time to share this info! I appreciate it! Leave a reply to What are Amish burial practices?